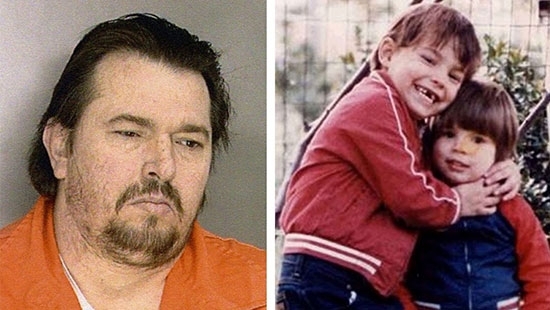 On Monday, 4/8, 59-year-old guilty Daniel Dougherty was found guilty for the third time of intentionally setting fire to his Oxford Circle rowhouse in 1985, killing his two young sons. The jury of 8 women and two men deliberated for seven hours over two days. Dougherty was convicted of two counts of second-degree murder and arson causing death. He was immediately sentenced to two consecutive life sentences. His was convicted twice before, but had each of those verdicts overthrown by the state Superior Court. Prosecutors say that Dougherty set the fire inside the home to get back at both his ex-wife and his girlfriend. He said it was accidental, but the city fire investigator found three separate points of ignition suggesting it was purposeful. Two men pled guilty in court on Monday, 4/8, to killing a West Philadelphia activist in a case of mistaken identity. After the hearing, Philadelphia police took a third person related to the case into custody just outside the courtroom. 41-year-old Nelson Giddings and 32-year-old Isaiah Reels pled guilty to third-degree murder, robbery, burglary, and conspiracy to commit burglary. Giddings also pled guilty to weapons-violation charges. The incident happened on February 2nd, 2017 on the 300 block of North Holly Street in Poweltown Village. The two men intended to rob Theodore Williams, who they thought had drugs and money. Instead they went to the next door neighbor's house belonging to 65-year-old Winnie Harris. Giddings shot and killed Harris, Reels acted as the lookout. Harris was active in the neighborhood and director of UC Green, which plants trees. She also tended the Holly Street Neighbors Community Garden. After the two men entered their pleas, police arrested 38-year-old Laukesha McGruder outside the courtroom. She had been called to testify. McGruder is charged with murder, conspiracy, and robbery. She helped plan the botched robbery.